The Town of Weldon launched another rockfish, also painted by artist Napoleon Hill. This fish is located at Weldon Town Hall. 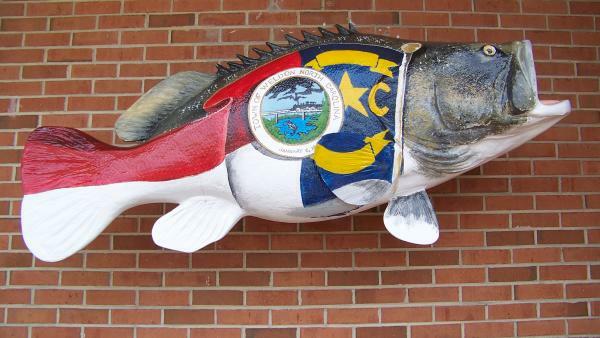 The fish depicts Weldon’s town seal, as well as the North Carolina state flag. The rest of the fish is painted as a realistic rockfish. By incorporating the Weldon Town Seal, the fish pays homage to Weldon’s significant railroad history, the significance of the Roanoke River and the town’s claim to fame as the Rockfish Capital of the World.